Is your budget failing and you’re stuck wondering what you’re doing wrong? 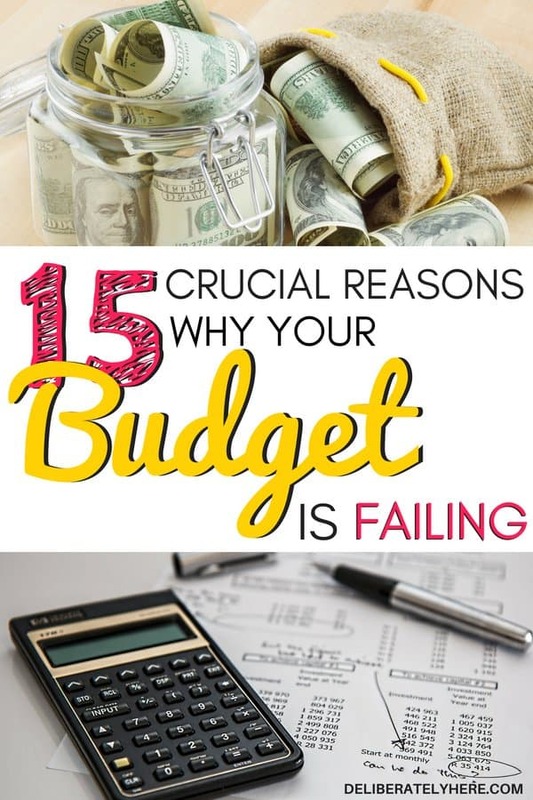 Do you know some of the common reasons why your budget is failing? I know that feeling of frustration when you’ve worked hard to create a budget and are trying your best to stick to it, but despite all your efforts you still seem to blow way over budget. What is the reason for this? Why can’t it be as easy as creating a budget and sticking to it? 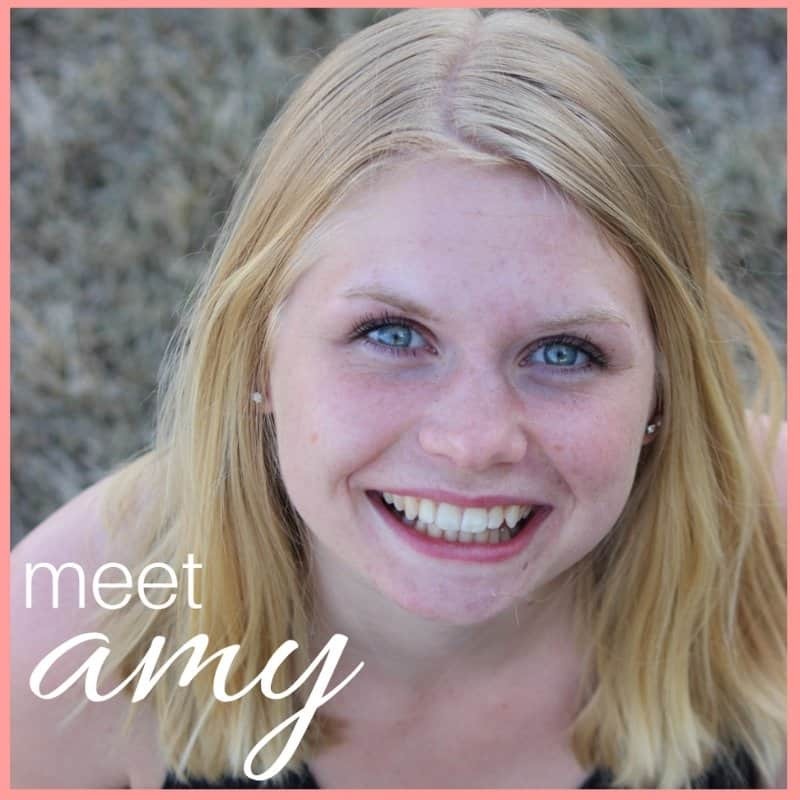 With countless budgeting myths out there, it’s time to discover the real reasons why your budget is failing so you can start working towards a better budget that works for you and your family – a budget you will actually stick to. When creating a budget, many people want to make sure they’re doing it right and are doing everything they can to save as much money as possible. So they make their budget too tight. Then their budget starts failing and they’re stuck wondering why. A tight budget is a good thing, right? It just means that you’re trying your all to say as much money as you possibly can. While it might seem like the tighter your budget, the more money you will save, it’s often not true. If your budget is too tight, you won’t be able to stick to it. Once you start realizing all the places you’re going over budget, you’ll start to feel discouraged. 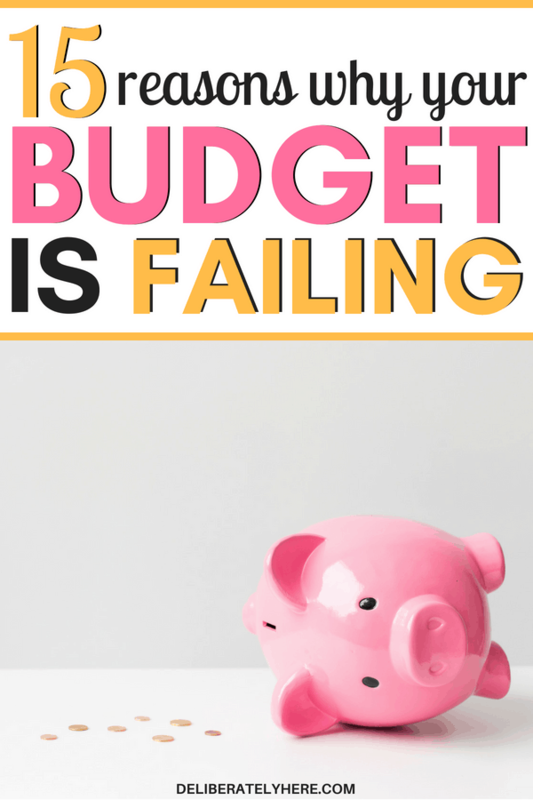 You’ll soon realize that this budget is not working for you, and you’ll be tempted to give up budgeting altogether because clearly following a budget doesn’t work for you. The good news is – your budget might just be too tight. 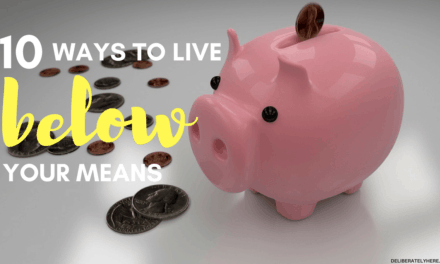 While creating a budget and challenging yourself to save money and cut costs is a good thing, having a budget that is too tight and doesn’t allow for all the necessities is not a good thing. If your budget is failing and you’re stuck wondering why, take a look at it and ask yourself if you’ve made your budget impossibly tight. If you have, follow the guidelines and amounts in this budget to create a budget that you can actually stick to. If your budget doesn’t include all your expenses, you will be wondering why you’re spending so much more money than the budget suggests you spend. If you don’t know all the expenses that should be included in your budget, you can find a free monthly household expenses guide to include in your budget cheatsheet here. Recreate your budget and be sure you’ve included all your monthly expenses on it. If you have more expenses than the ones laid out in the cheat sheet, add them to your budget as well. There’s nothing worse than going through all the work of creating a budget only to realize that you forgot to include certain expenses and having to redo your whole budget to fit them in. If you aren’t tracking your spending, how are you going to know how much money you’ve spent? Tracking your spending habits is a vital part of any budget, and if you’re not doing it that may just be the reason why your budget isn’t working. You can find a free expense tracking worksheet here. Do you have a habit of paying full price for the things you need? If you are a name-brand chaser, it’s time to start exploring other options. Did you know that (especially at grocery stores) you can get the exact same item that you were going to buy for a fraction of the cost by simply buying the generic brand of it? For most things the generic brand tastes just as good and can be up to less than half the price. Do be careful though, because not all generic brands of food are good. Do your research first. Do you have a habit of buying things that you don’t need just because you like to shop? Impulse purchases are a real money-sucker and will make your budget go belly up. 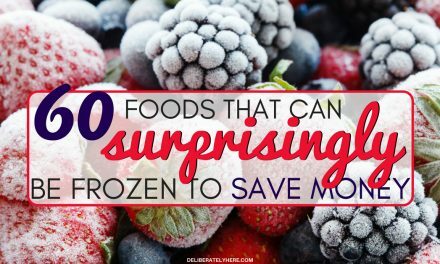 If you tend to buy things when you’re bored challenge yourself to a spending freeze and only spend money on the things that are necessities, like groceries and living expenses. Over budgeting might sound like a good thing, because if you budget for more than something is going to cost and you come out with money to spare, you’ll have so much more money to put into savings, right? Unfortunately, when people over-budget and come out with money to spare, that money doesn’t go straight into a savings account. Instead, it gets used on things like clothes or other stuff that you really don’t need. When you over budget and see that you have money to spare, it’s easy to view that money as spending money and not as money to save. A successful budget requires you to set the right amount of money aside for each thing, not too much or else it’s easy to spend the extra money, and not too little or else you will get discouraged because you keep going over budget. If you’re only using your budget to keep track of your monthly expenses and bills like insurance, mortgage/rent and groceries but not including your miscellaneous spending like going out to the movies, eating out, and coffee, your budget isn’t doing it’s full job and will likely fail. If you have debt you need to be budgeting for it. All your debts should be included in your budget so you can work on paying them off each and every month. If you don’t budget for your debt, you may be doing great with sticking to your budget in all other areas, but your debt will be the tipping point that brings your budget down. To avoid a failing budget because of debt, be sure to include all your debt, big or small, on your budget. Is your budget ancient? If you created your budget years (or even just months) ago and haven’t adjusted it since, it’s time to do a budget makeover. If you have a variable income each month, your budget is going to have to change each and every month to match your income. If you are on a salary that doesn’t change from month to month, you will still want to update your budget every once in a while. Even if your income doesn’t change every month, it’s important to remember that expenses do change time to time and you want to keep your budget as up to date as possible for the best results. If you have created your budget off the guidelines found in this budget template, but are still finding that your monthly budget isn’t working for you, you may have to reassess how much you are spending in each category each month and change it around for your needs. If you don’t spend a lot on insurance each month but find that you’re eating out more often, adjust the numbers so you’re spending a smaller percent of your income on insurance and carry that number over to your eating out fund. This budget template is meant to be just that, a template. If the numbers on it already work for you, then that’s great and you shouldn’t have to do much switching around at all. But if you’re finding the numbers are unrealistic for your lifestyle, change it around and make it work for you. If you don’t stay motivated easily and have a hard time keeping committed to something, budgeting may be especially difficult for you. Though it may be difficult, it isn’t impossible. Working at sticking to your budget and not giving up is something you will have to do. Whether that looks like challenging yourself in new ways every day to stay motivated and committed, or finding yourself an accountability partner to budget with you and keep you motivated. Is your budget a downer? 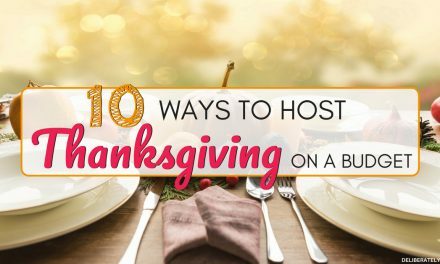 Did you budget for all your expenses but forget to budget for a few fun activities, too? If you aren’t enjoying, and have no motivation to stick to your budget, that may be one of the many reasons why your budget is failing. No one wants to live a life that is purely getting by without having any fun. A budget is the same, make sure you’re leaving room for having fun in your budget. Whether that means splurging and buying something you’ve wanted for a long time or having a fancy date night out, don’t forget to keep some excitement in your budget, just like you want to keep excitement in your life. Setting goals is another important part of budgeting and is something you should ensure you’re doing. Set financial goals for yourself that may seem out of reach but that are doable. Don’t go overboard and set unrealistic goals that could never be accomplished. Keep your goals realistic, exciting, and a bit challenging every month. It doesn’t matter how great you are for sticking to a budget if you aren’t prepared for emergencies. Emergencies can happen to anyone at any given time, and it’s important to be prepared. Make sure you are building up an emergency fund and adding to it every month. It is suggested that you have at least 3 – 6 months of wages saved up in your emergency fund. If that number overwhelms you, start with $1,000 and work up from there. Add to it every month so if an emergency ever happens you are prepared for it and don’t need to dip into your savings or go way over budget. If you aren’t patient with your budget and don’t give it enough time, your budget will likely flop. Getting into the groove of budgeting takes time, and it’s important to remember that things likely won’t happen overnight. 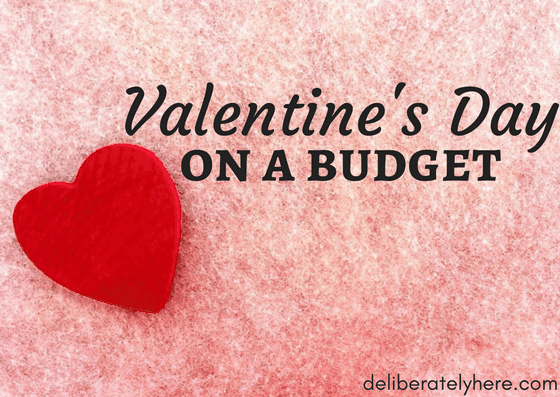 As much as we would all love it, if we start budgeting today, we aren’t going to wake up being a budget-guru and having $5,000 extra dollars in our bank accounts. Give yourself time to learn the ins and outs of budgeting and don’t expect everything to come to you naturally. Learning is a natural part of life, and budgeting is no different. 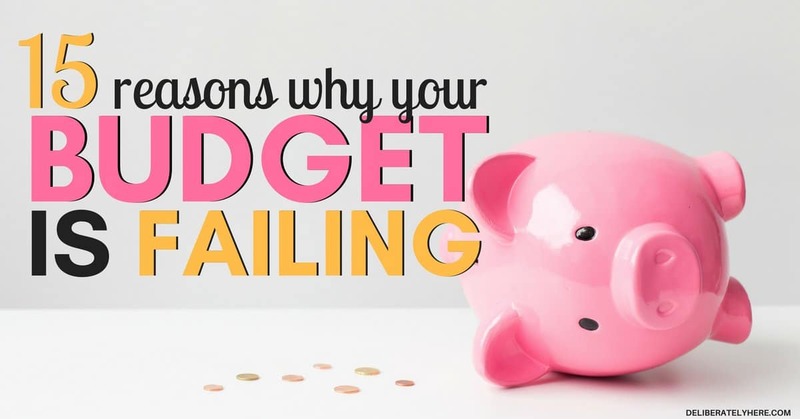 While there are many other reasons why budgets may fail, these are some of the most common. Just like I always say with saving money, the same goes for budget, it doesn’t have to be as hard as many people make it out to be. It can be simple and effective, you just have to learn the right way and give it time. Are you a budgeter? Have you ever had a budget fail? What was the reason that your budget failed?